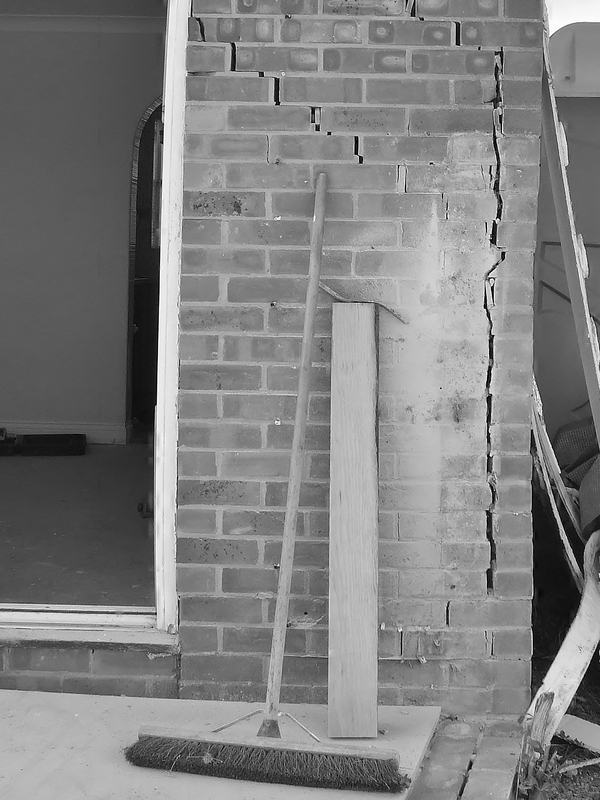 We recently undertook an insurance reinstatement repair contract in Compton, Berkshire. The semi-detached property had suffered a central heating leak within the floor screed. It could not be determined how long the leak had been established but the whole ground floor screed was saturated. The client appointed us to liaise with the insurance company and their appointed loss adjuster. 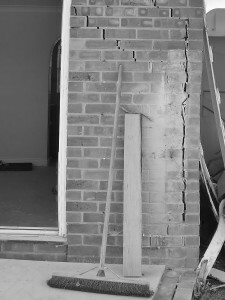 We visited the site, assessed the damage and advised the loss adjuster of the works required. We drew together a schedule of works, which we issued for competitive tender. We ensured a contractor was appointed to undertake the works and attended regular site meetings to ensure works were completed within the four week contract period. Our role included liaising regularly with the client to ensure that decisions regarding finishes were made in good time to prevent any delay to the contract and to enable the client to move back from their alternative accommodation as quickly as possible. 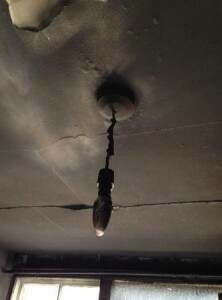 Overall, the issue was dealt with within a four month period, from the date the loss was discovered to completion. Our involvement in this project reduced the cost of the claim to the insurer, ensured that the property was sufficiently restored to its pre-loss condition, and enabled the client to be satisfied that works had been undertaken and specified properly. During the contract period, we were also able to incorporate some amendments and alterations to the ground floor space that the client desired and we were able to clearly separate and demonstrate to the Insurer which works were part of the insured loss and which were undertaken privately for the client. On completion we certified all works and valued them and made sure the contractor was duly paid. We are pleased to have been able to provide our services and without our involvement it is highly likely that works would not have been completed in the time and to the quality to which they were. If you’re in need of a Chartered Surveyor to help oversee some insurance reinstatement works, contact RMA Surveyors Ltd on 01635 579208 or complete the enquiry form and we’ll get in touch. 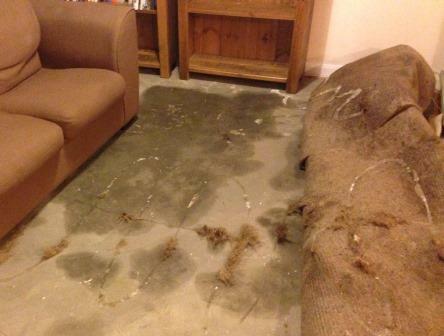 We are currently overseeing an insurance reinstatement of a flood damaged property in Kingsclere, Berkshire. We first became involved when our client was having difficulty in getting the loss adjustor from their insurance company to assess the property. We were asked to supply a defect diagnosis report to assess the cause of the water damage to their building. We undertook the survey and produced the report which we supplied to the loss adjustor, who had not understood the gravity of the technical failure. As a result, we were able to explain that the insurance claim was likely to be larger than the loss adjustor had orginally anticipated and that a larger scale reinstatement would be necessary. We were duely appointed by our clients to undertake and oversee the project management of the reinstatement, which is currently on site. If you have damage to your property due to flood, fire or other insurance related loss, please contact us as we may be able to provide our professional assistance. RMA Surveyors Ltd have visited many properties over the last few months to assess flood water damage and work with home owners to reinstate their property. About 6,500 homes have been flooded in the UK since December, according to this interesting BBC article, which takes a look at what happens after the flood water recedes. If you are concerned about any damage to your property, then enlist the services of a Chartered Building Surveyor. The reinstatement process can be long and involved. Many factors can come into play that delay or frustrate the process, particularly where there are so many claims being processed concurrently. In our experience it is better to have an experienced Chartered Building Surveyor appointed to steer you through this lengthy and sometimes frustrating process. If you need the assistance of a qualified and experienced Chartered Building Surveyor please call on 01635 579 208 or contact us via our contact page. 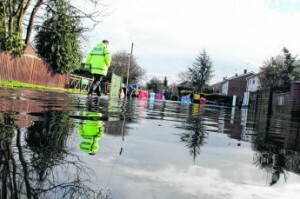 For further information read Five Steps to Flood Reinstatement. If you’ve recently put a call into your insurance company regarding a claim re flooding or water damage, then now is the time to take a closer read through your policy. Often your insurance policy usually allows you to appoint your own Chartered Building Surveyor to project manage reinstatement works – on your behalf. In our experience, victims of flood damage are often further stressed-out by the reinstatement process; having to deal with overworked, under resourced insurance loss adjusters and their equally overstretched (sometimes less qualified) in-house surveyors. At a time when many properties are affected, often these individuals are difficult to contact and do not have adequate time to devote to their clients. RMA Surveyors Ltd are professionally qualified, RICS Regulated and experienced in flood reinstatement works. We never take on more work than we can manage. We will provide you with peace of mind and ensure your property is returned back to normal as swiftly as possible. We will liaise directly with your loss adjuster, so you don’t have to. If you are unfortunate enough to have suffered from flooding and feel a little overwhelmed as to how you will get your property back to normal please contact us. 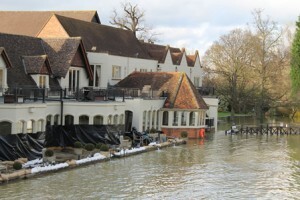 Is your property affected by flood damage? If so, get advice from a Chartered Building Surveyor. A chartered building surveyor is an expert in buildings. Their professional knowledge and expertise as to how buildings are constructed, and how they perform, can assist you in a swift and satisfactory reinstatement of your flood damaged premises. If you have water entering your building then RMA Chartered Building Surveyors can undertake an initial assessment, report the damage to your insurance loss adjuster, specify, tender and oversee works to their conclusion. At all times we can be your first point of contact and liaise with your loss adjuster directly in the reinstatement of your building. Call RMA Surveyors Ltd on 01635 579 208 for advice regarding flood or water damage and we’ll be happy to help. This is the advise being given to residents across Berkshire. The Met Office has issued a yellow warning for rain in the district today (Wednesday), with 15-25mm of rain expected to fall within the yellow zone between 9am and 9pm. If your home has been affected by the floods or water damage, call RMA Surveyors Ltd for advice. If your house or building has been affected by flood or water damage, give RMA Surveyors Ltd a call for some professional advice on your situation. The current flood agreement between the Government and the Association of British Insurers comes to an end at the end of June 2013. Negotiations to continue providing affordable premiums to those most vulnerable to flooding are seemingly at a grinding halt. Under the present agreement, insurers are committed to offering existing consumers universal flood insurance at affordable rates, providing that the Government invests in flood defenses. However, government spending on flood defenses is reported to have reduced. 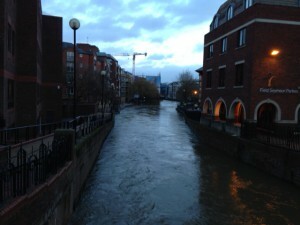 The Guardian reported last July that 294 flood defense projects have not received funding. Talks between DEFRA and the ABI over a new deal have been ongoing for months. As many as 200,000 households could find it difficult to source reasonable premiums on flood insurance if no agreement is reached.